If you have a question, we've separated out the answers into who you may be – cadet, volunteer, parent or guardian, and supporter. Click on the blue rectangular boxes below to find the answer to your questions. If you can't find the answer you're looking for, do get in touch with us. You can join Junior Sea Cadets at 10, Sea Cadets at 12. Find your local unit. Get in touch and they’ll be really happy to arrange a visit, so you can look round the unit and see what’s involved, and speak to volunteers and cadets, before deciding if you’d like to join. If you do, there’s an application form to fill out which the unit can go through with you. It depends on the unit, but all charges are very low and heavily subsidised. We are determined that nobody should miss out because they can’t afford it, and help is always available. There are charges for training courses and camps but these are kept to a minimum. Sometimes you can get a bursary or grant for activities like our week-long voyages sailing offshore. Most of the uniform is provided by the charity and will be issued to you on joining. Cadets have to purchase their own boots and Junior Cadets have to buy a Sea Cadets jumper and t-shirt. When joining speak to the unit's Commanding Officer to find our what you'll need. What is the rank structure at Sea Cadets? The Royal Navy is our biggest supporter and we work according to their customs and traditions, which means that cadets enter a rank structure on joining. As they learn and master new skills, cadets rise through the structure and progress up the ranks. More qualified Sea Cadets often share in the guiding of younger, less qualified cadets. A cadet can progress from a New Entry Cadet all the way up to Petty Officer Cadet or Cadet Sergeant. If you wish to go on and join the Royal Navy, great; but Sea Cadets is for everyone, whatever you want to do in life. What national qualifications can I achieve as a Sea Cadet? There are many, and they include; qualifications from the Royal Yachting Association (RYA), the British Canoeing Union (BCU), the British Sub Aqua Club, St John Ambulance Brigade, the Institute of Leadership and Management, plus others. You can also achieve BTEC qualifications. We keep our syllabuses very current and relevant to young people and where appropriate, align them to nationally recognised awards. As a Sea Cadet you can choose to work towards a BTEC in Teamwork and Personal Skills or Music as part of your normal Sea Cadet activities. This is a nationally recognised qualification which is equivalent to four GCSEs at grade C (four standard grades at level 3 in Scotland). Can I participate in the Duke of Edinburgh's Award in Sea Cadets? Yes you can and, even better, you can complete it as part of your normal Sea Cadet activities because our activities and training programme naturally tick off all the sections required. 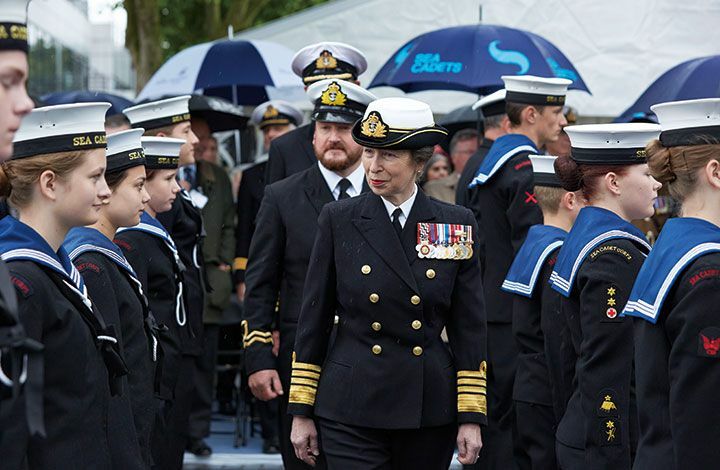 How does the Royal Navy support Sea Cadets? Why does Sea Cadets need volunteers? Every unit is run entirely by volunteers. We have 14,000 young people and many more hoping to join a local unit near them. Volunteers help and guide our cadets so they can grow and develop in a safe environment. If more adults join and help out, it will allow more young people to experience the thrill of being a Sea Cadet. I’ve never been a Sea Cadet or volunteer, does this matter? No previous Sea Cadet or volunteer experience is needed! Energy and enthusiasm are the qualities we’re looking for. You can make use of any existing skills you have or we can help you learn new ones. No, it is up to the individual volunteer whether they choose to wear a uniform or not. Although Sea Cadets is a uniformed organisation, we have a mixture of uniformed instructors and civilian instructors. There is no pressure or requirement to wear a uniform. I'm only available to help out on a flexible basis, is this OK? Yes, definitely. There are lots of ways to volunteer for Sea Cadets and help your local unit, with a variety of roles to choose from, and we are happy to hear from everyone regardless of how much free time they have to give. As a voluntary organisation we are unable to pay volunteers for the time they give. If you help out at camps, competitions, and events, your out of pocket expenses will be covered though. 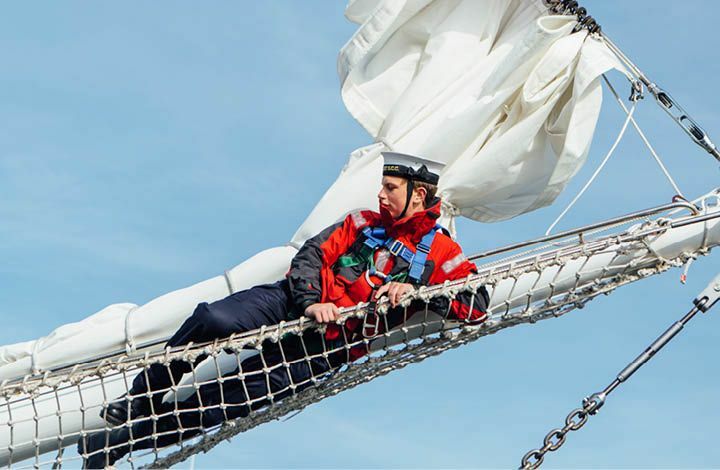 However we think that you’ll find you gain a great deal from volunteering at Sea Cadets, with the chance to take part in adventure activities both on and off the water, learn new skills, gain qualifications and meet new people. As long as you are over 18 years of age, you can help out as a volunteer once you have completed a successful DBS check. There is no upper age limit for volunteers as long as you remain fit and healthy and able to assist in one role or another. You can find your local unit here. Get in touch and they’ll be really happy to arrange a visit, so you can look round the unit and see what’s involved, and speak to volunteers and cadets, before deciding if you’d like to join. If you do, there’s an application form to fill out which the unit can go through with you. Yes. All volunteers are covered under MOD indemnity our Personal Accident and Medical Expenses Policy. I've been in the Armed Forces and would like to support my local unit, can I do that? Yes certainly, many of our volunteers have been in the Royal Navy or other Armed Forces. Their skills, experience and enthusiasm give cadets a unique insight and can add greatly to the cadet experience. We also welcome those with experience in the Merchant Navy and other youth organisations. Do I have to be in the Royal Navy to be a volunteer? No, not at all, we are looking for people with enthusiasm and energy and who are committed to helping young people reach their goals. My child is a Sea Cadet, is there anything I can do to help out? Yes definitely and we’d like to hear from you! Many of our volunteers have children, nephews and nieces in Sea Cadets, so they can see first hand how it benefits young people. Plus volunteering enables you to give something back and spend more time with your child. It's enjoyable, gives you more skills and allows you to share these with the next generation. Speak to your child’s Commanding Officer to discuss how you might become involved. My child is a Sea Cadet, is there anything I can do to help? Yes definitely and we’d like to hear from you! Many of our volunteers have children, nephews and nieces in Sea Cadets, so they can see first-hand how it benefits young people. Plus volunteering enables you to give something back and spend more time with your child. It's enjoyable, gives you more skills and allows you to share these with the next generation. Speak to your child’s Commanding Officer to discuss how you might become involved – it could range from instructing the cadets through to joining the Unit Management Committee. You can find your local unit here. Get in touch and they’ll be really happy to arrange a visit, so you and your child can look round the unit and see what’s involved, and speak to volunteers and cadets, before your child decides if they’d like to join. If theydo, there’s an application form to fill out which the unit can go through with you. What does it cost to join Sea Cadets? It depends on the unit, but all charges are very low and heavily subsidised. We are determined though that nobody should miss out because they can’t afford it, and help is always available. There are charges for training courses and camps but these are kept to a minimum. Sometimes you can get a bursary or grant for activities like our week-long voyages sailing offshore. What national qualifications can my child achieve as a Sea Cadet? There are many, and they include; qualifications from the Royal Yachting Association (RYA), the British Canoeing Union (BCU), the British Sub Aqua Club, St John Ambulance Brigade, the Institute of Leadership and Management plus others. You can also achieve BTEC qualifications. We keep our syllabuses current and relevant to young people and where appropriate, align them to nationally recognised awards. Do I have to pay for my son's/daughter's uniform? No you don't, it is provided by the Charity and will be issued to the cadet on joining. You can call us 020 7654 7000, Monday-Friday, 9am-5pm, and you’ll be directed to the right person depending on the nature of your complaint. Outside of these hours you can always leave us a message and a contact number and someone will return your call. Does my child have to want to join the Royal Navy to join Sea Cadets? Not at all. Some teenagers do, and Sea Cadets helps to develop a way of thinking and some skills that can be helpful when applying for a job in the Royal Navy. But Sea Cadets is not a recruiting ground for the military – that same way of thinking is just as useful for any other kind of job your son or daughter wants to go into. What has your charity done over the last 12 months that has made a difference? In the past year, we enabled cadets to each achieve 32 hours of boating on the water, up 28% in the past five years. We delivered 18,667 boating qualifications and gave out £249,000 in bursaries to 1,330 cadets. 66% of cadets said attending Sea Cadets improved their attendance and engagement at school, whilst 94% said Sea Cadets provides them with the skills they need for later in life. To read a full account of all our achievements in 2016 - 2017, you can read our Annual Review. Why does Sea Cadets receive money from the Royal Navy? We receive about £9m in funding from the Royal Navy, which is about 50% of our income. We have a long established relationship with the Royal Navy who are our largest, committed supporter. However, we are an independent charity and structured differently to the other cadet forces and in addition to the money we receive from the RN we need to fundraise independently to support our work with young people in 400 units across the UK. 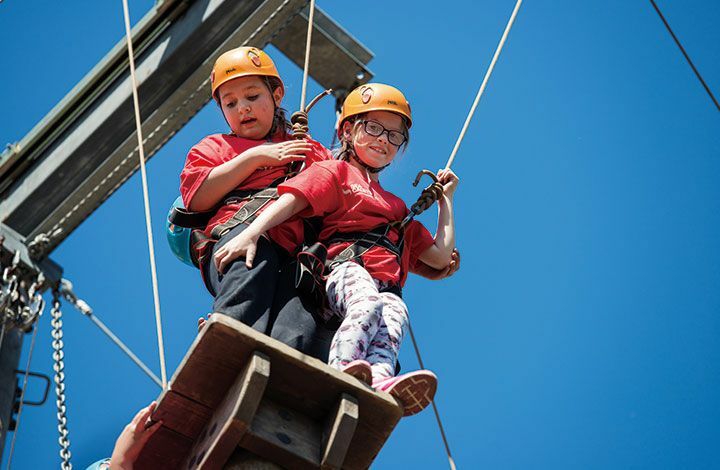 In addition each Sea Cadet unit is an independent charity raising additional funds for their running costs over and above what the parent charity provides to them. How can £2 a month or small one-off donations really make a difference? £2 a month may seem like a small amount, but over many months and with lots of people giving similar amounts, the combined effect can be very large and have a substantial impact. Not everyone can afford to give large amounts, but when many individuals give small one off donations, such as £15, they add up to a substantial contribution. How much of my donation goes on fundraising/administration? We are quite clear about how much we spend on fundraising and support – vital areas which ensure our continued existence and effectiveness. Out of every £1 we spend, 92p goes towards our work with Sea Cadets. In order to secure these vital donations, it is necessary to spend money on fundraising. Why do you spend so much money sending mailings asking for a donation? We use mailings to reach the donors and supporters without whom we could not fund all our vital work. Mailings are a cost-effective and efficient method of reaching a large audience, and are successful in maximising the amount of money raised for our work young people. How much of my donation actually goes to the cause (that the project or appeal advertises)? This depends on the individual project or appeal and it should be made clear in the materials you read or the conversation you had. We do have an obligation under the 1992 Charities Act to ensure that your donation goes to the work that it was asked for, unless stated otherwise. In some instances, we use a specific project to illustrate our work in an area, with funds raised going to support our work in similar projects working on the same issues. Equally, we may use a case study of one child to illustrate our work with many children. Funds raised go to wherever the need is greatest. Why do we prefer people to make regular gifts? Regular gifts mean that we have a consistent, predictable income, so we can plan and budget better and help the greatest number of children and young people possible. In turn, this long-term security enables us to respond to situations as soon as they arise, and the income to carry on with our existing work whether issues are receiving media coverage or not. Regular gifts also mean lower administration costs and cheaper bank charges so that even more of your money goes to our work. Also, continuing donor support helps us balance the higher costs of securing new donors and to recoup supporter recruitment costs quicker. How much money does your charity raise in a year? In the past year (2016-17) our estimated income was £24.2m and our total estimated expenditure was £23.6m, with 94% going on Sea Cadets activity. Our Reports and Accounts for 2016/17 shows the split of our fundraising income streams, showing that our income comes from a range of statutory, individual and corporate sources. Our income comes from grants, donations, gifts in Wills and other fundraising and trading including shops, investments and property.